You know all about Pa'ina Cafe in their Koko Marina location from here...but have you ventured to their original location at Ward Warehouse? Head down to their newly-renovated restaurant located in the old Chowder House. They also have a wider menu featuring Coffee and Teas, different Acai Bowls and Smoothies, and also a lot of to-go stuff like dips/cookies/boiled peanuts. At lunch, it can get really crowded, but the seating area is large and there are lots of tables to fit every type of need. Sit at the counter if it's just you for a quick bite, or sit at a bigger table if you're with work friends. I had just eaten some spicy ahi cone sushi at Tanioka's earlier that morning, but my friend Ike wanted to grab lunch. Met him at Pa'ina at Ward, and wasn't in the mood for more poke. I had always been curious about their Caprese Salad, so I opted for that and a Iced Thai tea drink. Ike ordered their Hawaiian Bowl, which is what I always order, and boy, did it look delicious. Let's just say that I will never order a salad from Pa'ina again!! Not enough balsamic vinaigrette and not enough olive tapenade. 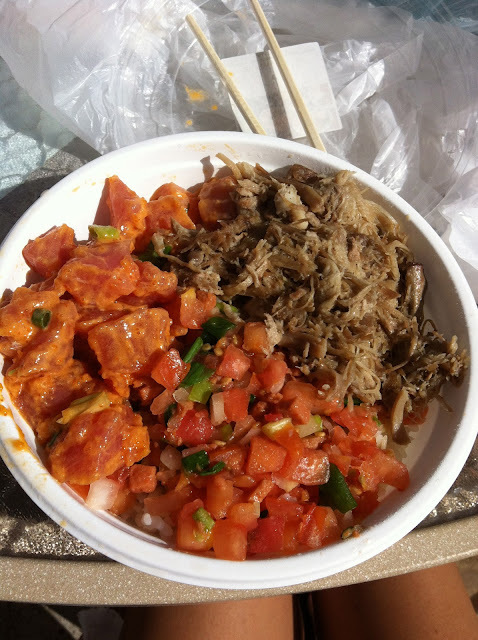 I should've known...never order a salad from a place that specializes in poke bowls! 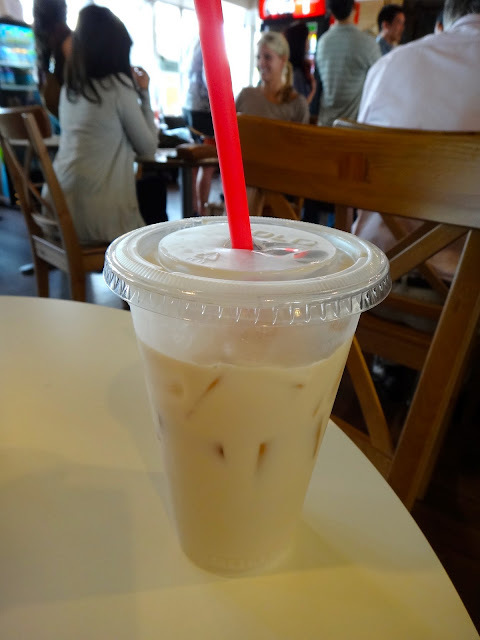 I went back to Pa'ina Cafe Koko Marina the next day to satisfy my craving!